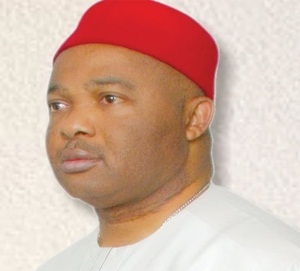 Uzodinma stated this at the inaugural meeting of the caucus in Abuja on Thursday. Uzodinma assured that plans were already in place to map out strategies that would enable the caucus to deliver on the mandate. “There is no point claiming headship; the common denominator is what would make President Buhari, out of the eight million registered voters in the South-East, to get a minimum of six million votes. “In doing that, we have to make sacrifices and call some people to order. We will do our beat. “For me as a person, we will try to convince and those that will willingly follow will follow. ’’ Uzodinma hinted that plans were underway to organise a mega rally in the region, adding that the President had approved of it and promised to be present. The National Chairman, Buhari Support Group, Mustapha Ahmed said the group had been working assiduously to raise the support base of the president. He called on the caucus to work hard towards mobilising votes for the President in the region and entire country. On recent coalition of some political parties, the chairman said it was not known to law.